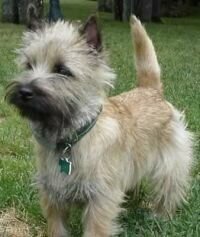 "The terrier is a group of dog initially bred for hunting." Their ancestors were bred to hunt and kill vermin. Many Terrier's continue to project the attitude that they're always eager for a spirited argument. The majority of Terrier have wiry coats that require special grooming known as stripping in order to maintain a characteristic appearance. Most of these breed were developed in the British Isles. They were used to control rats, rabbits, and foxes both over and under the ground. 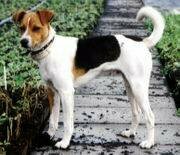 Some larger terrier were also used to hunt badgers. In fact, the word terrier comes from the Middle French terrier and before that the Latin terra, meaning earth. The gameness of the terrier dog breed was exploited by using them in so-called sporting contests. Initially, terriers competed in events such as clearing a pit of rats. The dog that was fastest in killing all the rats won. Bull Terriers, in particular, were developed as fighting dogs. Today, most terriers are kept as companion dogs and make great family pets. They are generally loyal and affectionate to their owners but can be "big characters" requiring a firm hand. Terrier Group is also an official breed grouping for most of the major kennel clubs, including the AKC, ANKC, CKC, Fédération Cynologique Internationale, KC(UK), NZKC, and UKC. Hunting or working terriers - Still used to find, track, or trail quarry, especially underground, and sometimes to bolt the quarry. These dogs are usually of mixed breeding or of breeds not recognized as pure breeds. 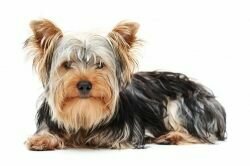 Show terriers - Rarely used for their original working purpose but are bred for the show ring or as companion dogs. Many of these breeds are excellent family pets and also perform in dog agility trials. Fighting Terriers - The Bull and Terrier types, of which the modern Bull Terrier is one, were originally combinations of bulldogs and terriers as general mixed breed pit dogs. In the late 1800s, they were refined into separate breeds that combined terrier and bulldog qualities. Fell terriers - breeds developed in northern England to assist in the killing of foxes. Hunt terriers - breeds developed in southern England to locate and kill or bolt foxes during a traditional mounted fox hunt. In general, terriers make engaging pets, but require owners with the determination to match their dogs' lively characters. While usually small, these dogs are brave and tough with a lively, energetic, and almost hyperactive personality. Listed below are the breeds in the terrier group. A working terrier is a terrier that goes to ground in a natural earth against formidable quarry. Terriers that rat or bush rabbits or work wild game in brush piles or barns are not working terriers, but "sporting terriers", a term that encompasses a wide variety of work not done underground. In the world of working terriers, there are but two roots  colored dogs from the north (Scotland and Wales), and white dogs from the south (England). From these two roots spring a variety of Kennel Club dogs and every type of working terrier commonly found in the field today.